There was a time when citrus production was booming in North Florida. In the 1920’s, Jackson County, Florida, was known as the Satsuma capital of the World. Satsuma is a citrus variety with excellent eating quality that is cold heady and matures early. Back then, there were about 3,000 acres of satsumas growing in the region, and the town of Marianna organized yearly satsuma festivals. That all changed in 1935 when hard freezes devastated the industry by killing the trees. The satsumas did not come back, and producers turned to other crops for income. 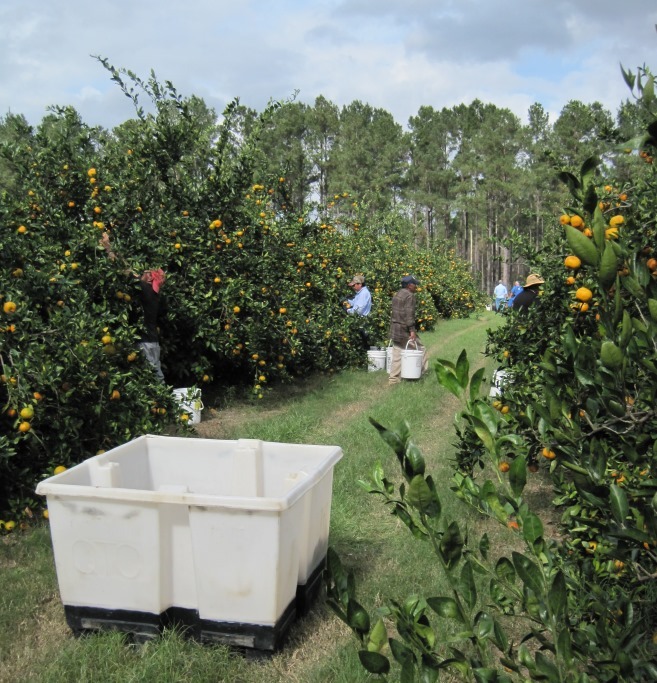 Satsumas were missing from the North Florida landscape until farmer-pioneer Mack Glass became interested in this crop as a way to diversify his farm. Federal payments for agronomic crops started to slide in the 1990’s and the time was right to look for alternative crops. In 1999, Mack attended an agricultural summit where the take-away message was, you either become a mega farm or you pursue niche production. “I decided to pursue a niche product,” said Mack, who decided to plant 6 acres of satsuma mandarins in the year 2002 with the help of UF/IFAS faculty. Along with two other farmer friends, they formed the Cherokee Citrus Cooperative. Mack estimates that there are now about 30 acres of satsumas growing in the region. Freezing temperatures destroyed the industry in the 1930’s and according to Mack, it continues to be the major threat to the industry. However, one of the main factors that convinced him to give satsumas a try was a micro-irrigation technology that could help the trees withstand the hard freezes in North Florida. The freeze protection system works because heat is released when water turns into ice. The ice protects the tree and allow them to survive. In January 2003, a year after he had planted the satsuma trees, his grove passed its biggest test to date. The temperature was 15 degrees, but thanks to the micro-emitters, he only lost one tree. “Some years we haven’t used the frost protection irrigation at all, like last year. On the other hand, there was a year where we had to use it three days straight,” he said. There are a few more growers planting satsumas in the region, which is encouraging said Mack. “The more growers we have, the better.” Mack is not shy about sharing his experiences with others and encouraging them to plant satsumas.” I think the acreage of satsumas will continue to grow in the future, he said. Besides the threat of freezes, problems with labor availability is an important factor that makes many growers think twice about planting satsumas. Citrus greening has not been a concern in this part of the state, and Mack reported that no disease had been detected. The low winter temperatures in the region help break the lifecycle of the Asian citrus psyllid, the vector that transmits citrus greening. There was no market for satsumas, but Mack and his fellow farmers have worked hard to put satsumas in the region’s school lunch menus. 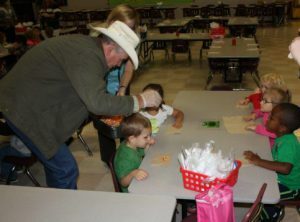 “I introduced Mr. Glass to Santa Rosa County’s Sodexo manager and they are now serving his satsumas for the county’s schools,” said Christina Walmer, a Food Systems Coordinator for the Farm to School, Farm to Community FNP-UF/IFAS Program. “We did whatever was needed to serve this market. We got insurance, food safety certification, and worked with Fresh From Florida to make this happen, we are fortunate” said Mack. “Even when satsumas are part of the school lunches for only November and December, they have become the favorite item for many children” Mack often goes to schools and shares with students the history of satsumas and how this locally grown fruit is coming back. Some fruit is also sold through organizational fundraising events. 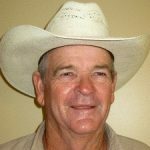 Mack was one of the first producers in Jackson County to become GAP (good agricultural practice) trained in food safety. Mack has now built a USDA approved citrus packing facility, and is hoping to join forces with more growers in the future. The Panhandle Fruit & Vegetable Conference is scheduled for October 11, 2016 in Marianna, FL. The event will give participants the chance to tour Mack’s grove through an afternoon farm tour. By that date, everyone will be able to see fruit beginning to turn color. Mack will lead a tour of his grove showing various aspects of his operation, including how the freeze protection works. The conference will also offer a Protected Agriculture tour, practical workshops, conference sessions, and a trade show. A highlight of the event will be farmer and author Richard Wiswall as the Conference Keynote Speaker. For more information and registration visit: https://pfvc.eventbrite.com. Early bird registration is $40 before September 6. Your registration includes breakfast, lunch, refreshments, educational materials and transportation to farm tour locations. The event is sponsored by UF/IFAS Extension with support in part by a Florida Department of Agriculture Specialty Crop Block Grant. We look forward to seeing you there!